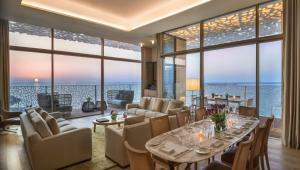 Situated on the manmade Jumeira Bay, an island carved into the shape of a seahorse and adjoined by a 300m bridge to central Dubai coastline, Bulgari Hotel & Resorts, Dubai comprises a private Marina featuring 50 boat berths and the first world’s Bulgari Yacht Club with peerless views over the sea. 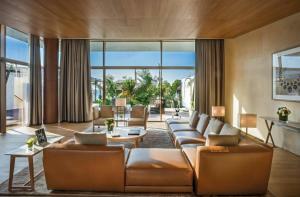 The resort offers 101 rooms and suites, as well as 20 Bulgari villas with pool, garden and sea-view. 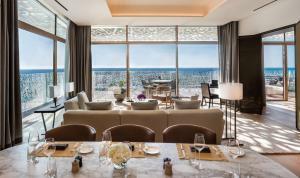 The Bulgari Resort & Residences Dubai offers a full range of amenities, such as the gourmet Il Ristorante – Niko Romito, the Il Café open all day , Il Bar with its iconic oval-shaped freestanding bar and La Spiaggia the most exclusive beach Club with private beach and a unique mosaic-design outdoor swimming pool. 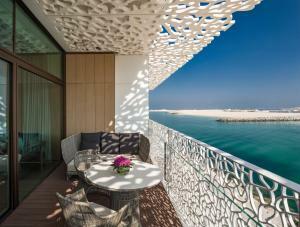 Guests can also enjoy the 1,700 square-metre Spa with hammam, indoor pool, fitness centre, beauty salon with a traditional barbershop and hairdresser. Speaking Arabic, English, Hindi and Japanese, staff at the reception can help you plan your stay. Dubai Opera is 4.1 km from the accommodation, while Burj Khalifa is 4.2 km from the property. 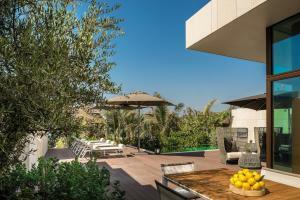 The nearest airport is Dubai International Airport, 13 km from Bulgari Hotel & Resorts, Dubai. This Superior King Guest Room is fitted with one king size, with a bathtub and shower and a private balcony. 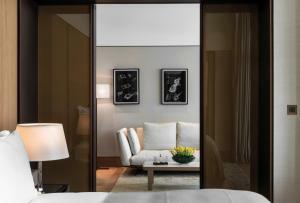 This Superior Room with 2 queen beds is fitted with two queen-sized beds, with a bathtub and shower and a private balcony. 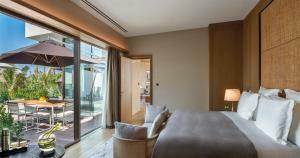 The Deluxe King Guest Room with Beach View enjoy glorious views of the resort’s sandy beach. 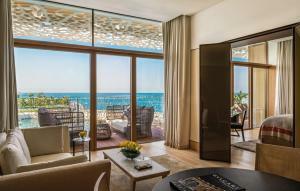 With the beach right on the doorstep, these rooms, each with a private balcony, are the perfect place to admire the resort surround. 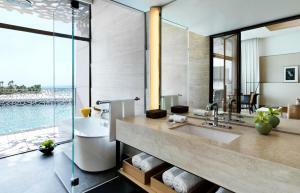 Rooms are fitted with one king size, with a bathtub and shower facilities. 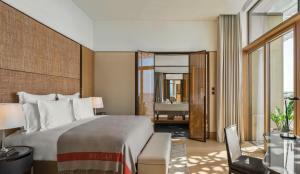 The Deluxe Guest Room with 2 Queen Beds and Beach View enjoy glorious views of the resort’s sandy beach. With the beach right on the doorstep, these rooms, each with a private balcony, are the perfect place to admire the resort surround. 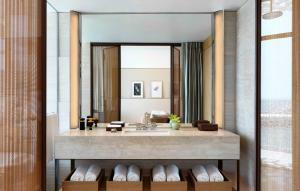 Rooms are fitted with two queen-sized beds, with a bathtub and shower facilities. 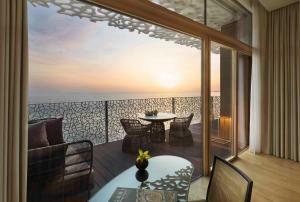 The spacious Premium King Room with Ocean View enjoy endless views over the Arabian Gulf. Rooms are bright, enjoying high ceilings, large windows and balcony doors, to maximize the natural light and are fitted with one king size with a bath tub and shower facilities. 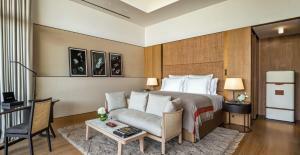 The spacious Premium Queen Room with 2 Queen Beds and Ocean View enjoy endless views over the Arabian Gulf. Rooms are bright, enjoying high ceilings, large windows and balcony doors, to maximise the natural light and are fitted with two queen-sized beds, with a bath tub and shower facilities.